We're called All Trades Building Services because that's exactly what we offer. 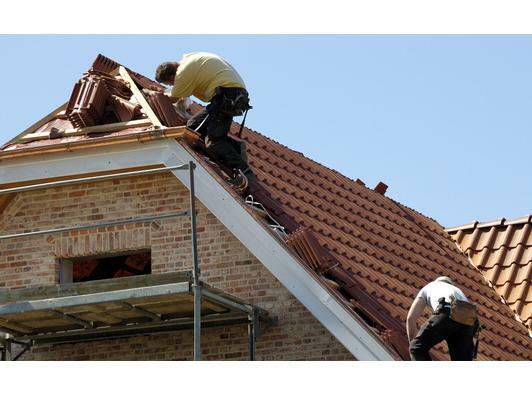 We're a firm of people in the building business and we cover all the various building trades. When you want a properly managed extension to your house or alterations to your business premises, give us a call. We'll be delighted to offer you advice and you'll be delighted with our competitive prices. It's amazing how many different trades and skills are needed for a good building job. If you've ever tried to co-ordinate different craftsmen yourself, you'll know how frustrating it can be when you have to call the plasterer back after the electrician's been, or the joiner has to return to box in the pipes that the plumbers have installed. Let All Trades Building Services (East Anglia) Ltd co-ordinate your building works and worry about the project management and timetabling! We have access to craftsmen with all the skills you'll need and we're used to co-ordinating our work with each other. A family's growing and changing needs often mean that the house you thought was going to be plenty big enough suddenly doesn't have enough space. Moving to a bigger property is one solution – but have you thought about a house extension? It can cost a lot less than you think, you don't have to move the kids from school, and the skilled craftsmen and tradesmen here at All Trades Building Services will keep the disruption to a minimum. We take pride in keeping our building sites tidy and safe – we can't promise that you won't know we're there, but we will work with you to keep your home workable! No room to extend out the back or to the side? A loft conversion, properly constructed and finished, can be the ideal solution to your space problems. Let our building specialists have a look at your property and we'll assess what can be done to give you a spare bedroom, with en-suite bathroom, or the studio your creative side has always dreamed of. We'll take care of the carpentry, plastering, plumbing and electrics, make sure the roof is still sound and the insulation is adequate. Not everyone has time to go around doing all those little property maintenance jobs that make the difference to the condition and longevity of your home. Whether your chimney needs repointing, your roof needs re-tiling or your electrical installation needs upgrading, let our skilled tradesmen give you a quote today. You won't be disappointed with our service.